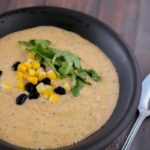 If you’re looking for a hearty comfort food for these late summer weeks but don’t want to heat up that kitchen, take a look at this wonderful Slow Cooker Corn Chowder. This dish is filling enough for a weeknight dinner, but can also work as a nice hot soup for a weekend lunch along with a sandwich or salad! Slow cooker soups are such a great option for this time of year, too. The family is ready to switch off from those summer dinners on the grill, but it’s just too hot to stand over the hot stove to cook. This soup is a meatless dish but does call for chicken broth. It can easily be made entirely meat free by substituting the broth for vegetable broth and skipping the bacon. For those trying to limit meat, this is such a nice option since it is such a filling soup. It’s a great gluten free meal also! A lot of folks have opted to do a meat free night or do a veggie entree a couple days a week, to save on the grocery bill as well as get their veggies in! For a side, try tortilla chips, pita bread or even crumble up a taco shell. This soup is pretty versatile and lends itself to whatever you have in your pantry for a side. That’s my kind of meal! The kids can pair it with a sandwich and adults can have a salad. I am definitely keeping this recipe handy for the upcoming fall season as well. It’s actually very low cost per serving considering we can find canned beans and corn for well under a dollar at most stores, as the weather cools off. For those busy weeks of school, I also find that having a few slow cooker recipes I can throw together early in the day helps out immensely with not running through the drive through. This is one of the best and easiest ways to save a few dollars! I hope you enjoy this recipe and can add it to your slow cooker selection. Enjoy! Place the bacon, onions and garlic in the slow cooker over high heat and cook until the onions are translucent. 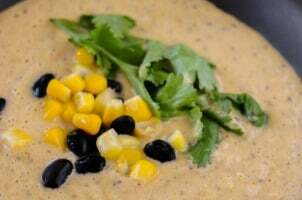 Remove the bacon and add the corn, black beans, spices and chicken broth. Cook on low heat for 2 hours, or high heat for 4 hours. Add the cream cheese and cook another 20 minutes as it dissolves. Adjust the seasoning, adding more spices, salt pepper, and a squeeze of lime juice. 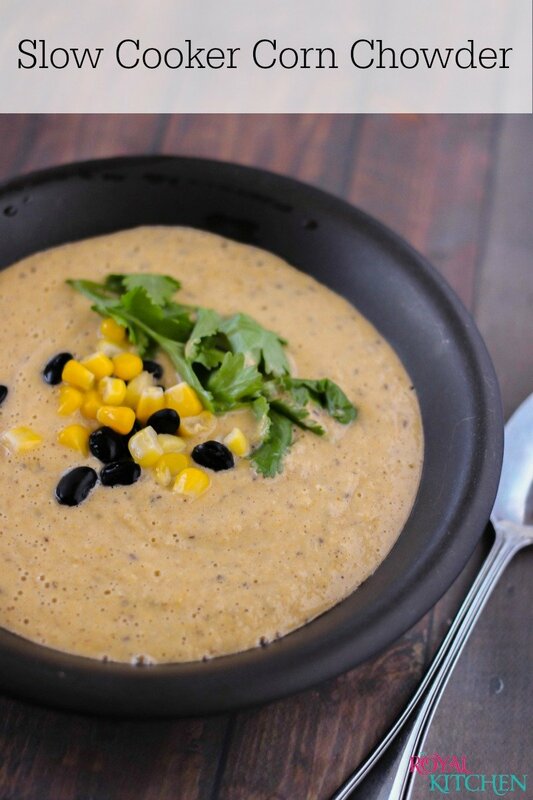 Serve with the bacon crumbled on top, along with cilantro and any remaining cooked corn and black beans for garnish.